Our Mission at Iris Photography & Video is to provide couples with the images and the stories that will transport not only themselves, but their friends and family, back to some of their most cherished and memorable times of their lives. "Tommy is very professional, as well as very personable. He pays attention to detail and is very receptive to feedback. Tommy knows from experience what works and what doesn't regarding pictures as well as the many elements within a wedding. 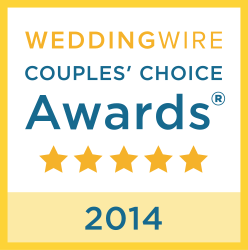 He is an honest vendor who a highly, highly recommend for any bride and groom who want beautiful, lasting memories." "My husband and I got married on Catalina Island. After reviewing many photographer's portfolios, we choose Tommy to be our photographer for our special day due to his amazing work and creativity. We are glad we went with Tommy as he was professional, did everything we asked, and was on top of everything the whole day. Our guests were even very amazed with his work and couldn't wait to see our photos. We would recommend Tommy to anyone for any special occasion to be captured. Thank you again for being a part of our special day and the beautiful photos that we will forever look back on for memories." "I found Tommy online while researching vendors for my wedding and I am so happy I did. My husband and I absolutely love him and his work! He was very professional and worked with our busy schedules every step of the way. After the wedding I had multiple family members raving about how exceptional and professional him and his team were at our wedding. He went above and beyond to capture exceptional photos. He literally climbed beside a waterfall to capture a particular angle. Tommy was very reasonably priced and worth every penny! We will now be referring all friends and family to him as well as using him for our future photography needs. ?